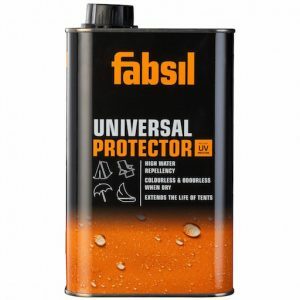 The Fabsil Universal Protector is a paint-on liquid replicates the original water-repellent finish found on all kinds of outdoor gear and equipment. 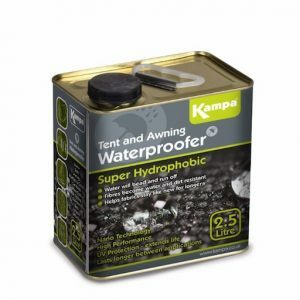 The Kampa Super Hydrophobic Waterproofing is ideal for waterproofing your tent or awning for the season ahead. It helps the fibres become water and dirt resistant. 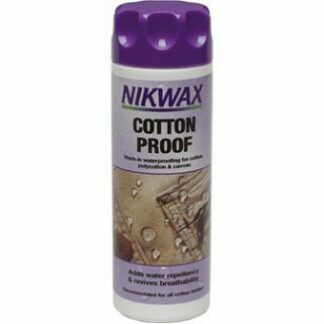 Nikwax Cotton Proof is a water based water proofing agent designed to make cotton, polycotton and canvas highly water repellent whilst maintaining breathability. 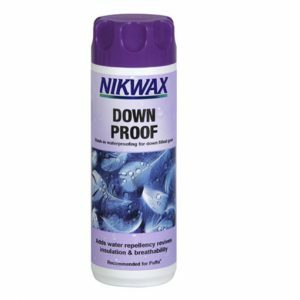 Nikwax Down Proof is a Wash-in waterproofing for down-filled clothing & gear. It adds water-repellency, revives insulation and breathability to all feather and down garments. 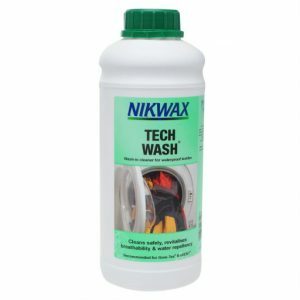 The Nikwax Tech Wash 1Ltr is a non-detergent,biodegradable liquid soap which removes dirt, protects the water-repellent finish on waterproof equipment, clothing and synthetic insulated garments. 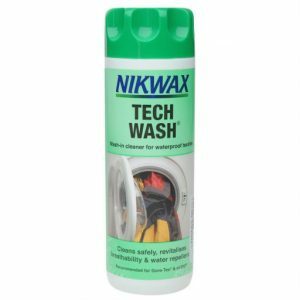 The Nikwax Tech Wash 300ml is the ideal cleaner for your technical clothing and gear. A non-detergent soap, it revitalises breathability. 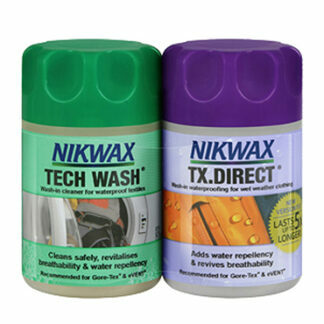 Tech Wash is a wash-in cleaner for waterproof clothing and equipment. It safely revitalises breathability and water-repellency. Tech Wash is a non-detergent soap which can be used regularly to clean clothing and equipment without damaging the Durable Water Repellent (DWR) coatings. 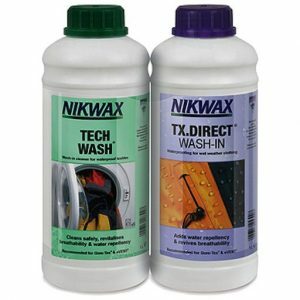 Nikwax Tech Wash and TX Direct 1Ltr Twin Pack is everything you need to reproof and clean your waterproof gear on a larger scale. 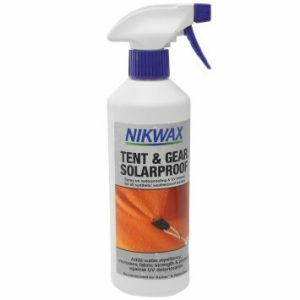 Nikwax Tent & Gear Solarproof helps maintain the water repellency of your tent and all other weatherproof textiles with this easy-to-apply spray-on proofer. Maintain the water repellency of your tent and all other weatherproof textiles with this concentrated proofer: it also blocks UV rays and prevents degradation. 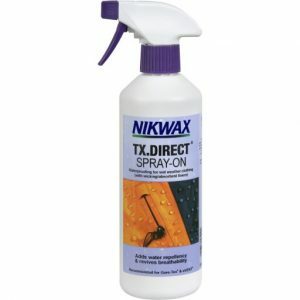 The easy to use, safe, high performance TX Direct Spray On waterproofing for wet weather clothing. Adds Durable Water Repellency, revives breathability and maintains internal wicking properties. 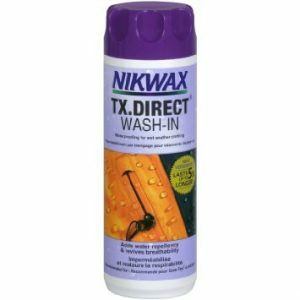 The Nikwax TX Direct 1Ltr is an easy to use waterproofer which restores and improves water-repellancy of breathable fabrics without wicking technology. Nikwax TX Direct Wash In is designed to reproof your waterproof, breathable outdoor gear. Simply wash your items in TX Direct.